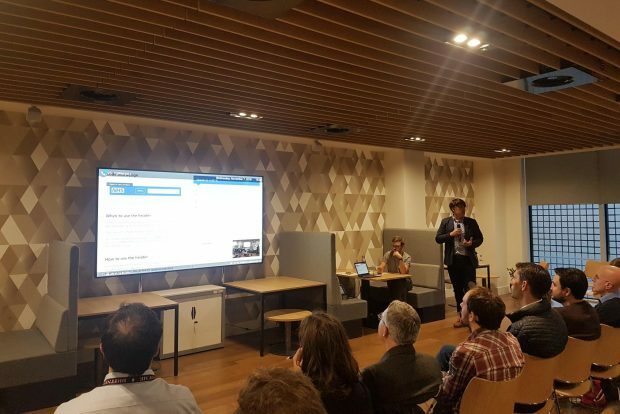 The Health Product People community was started in January 2018 to bring together people working on digital services across the health and care space to share ideas, collaborate and work together to solve problems. The Health Product People community builds on the good work of the cross-government product and service community. At our seventh event, we looked at designing and delivering better health and care digital services. 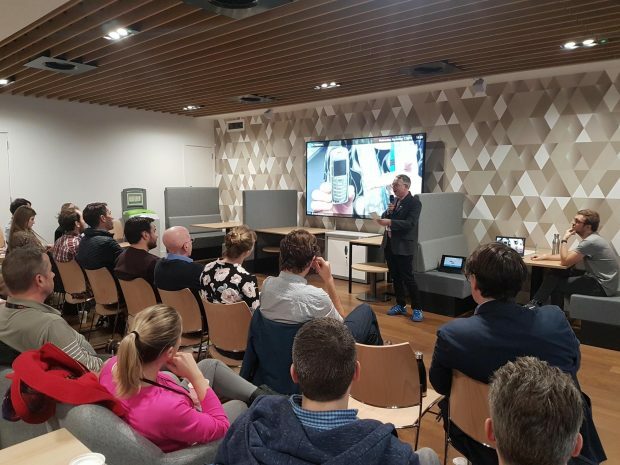 We had attendees from the Department of Health and Social Care, Care Quality Commission, NHS Digital, Public Health England and wider government. In total we had 11 people dialing in remotely, and 25 people in the room! Our new Secretary of State, Matt Hancock, is passionate about transforming the NHS and Social Care. We’ve seen the release of the vision for digital, data and technology in health and care and code of conduct for data-driven health and care technology. A special shout out goes to the department’s digital strategy and technology team for all their hard work on this. 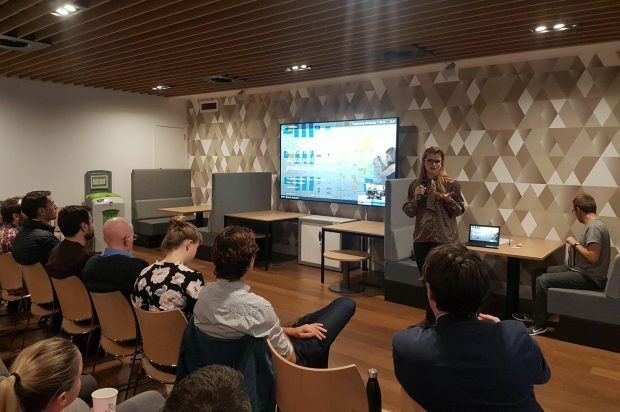 Katie Regan, Digital Capability Lead, highlighted all the hard work the department is doing to ensure we are digitally capable and ready for the future. Katie talked about reverse mentoring initiatives and running digital week with over 25 events. Colin Pattinson, Product Manager, talked about going into Beta on the Healthy Start project, which provides support to improve the diets of low income pregnant women and families with children under the age of four. I talked about the Medical Examiner programme, a new way of certifying the cause of death in England and Wales. This project is about to move into alpha - so stayed tuned for an update in the near future. Matt talked about three types of user needs: clinical, practical and emotional as defined by Janet Hughes. Intelligence and empathy is needed to reconcile these diverse needs. Matt talked about how illness, disability and social circumstances disempowers people. We need to be wary about this when designing, and be more positive, by co-designing with patients, staff, family carers and the voluntary sector. Matt described his experience working on redesigning the diabetes type 1 user journey on NHS.UK. The team mapped the journey for both patients and clinicians. Ultimately, they ended up with a taxonomy structured by need and not a clinical taxonomy. For example, one page looks at targeting newly diagnosed people. It doesn’t overload the user but gives them what they need at that moment in time. You can read more about Matt's talk here. There are many digital health tools but it’s difficult to know whether they are successful in terms of health outcomes. Vanity metrics like showing the number of people using a tool doesn’t mean it actually provides actual health benefits. Kassandra’s project is currently in the alpha phase. Initial findings from the alpha (subject to change) suggest having an ‘evaluation champion’, who could help design evaluation into the emerging service. The team can use logic models (and other frameworks) to identify outcomes linked to the service. Ultimately, this work will help service teams to make an educated decision of the most appropriate tools and methods for given indicators and outcomes. Kassandra's next step is to plan a proof of concept for one digital public health intervention. Having a service manual helps to improve quality of experience and trust in the NHS diversity of provision. It makes service teams' lives easier because they can learn lessons from what has happened before. Ian and his team have learned a lot from the work Government Digital Service and others have done. Ian talked about the future of the service manual. Having a front-end library & prototyping kit will enable designers and developers to produce new pages and services quickly and consistently. NHS Digital would like to be an exemplar for accessibility – to support the NHS ideal that good healthcare should be available to all, regardless of wealth, health condition or impairment. 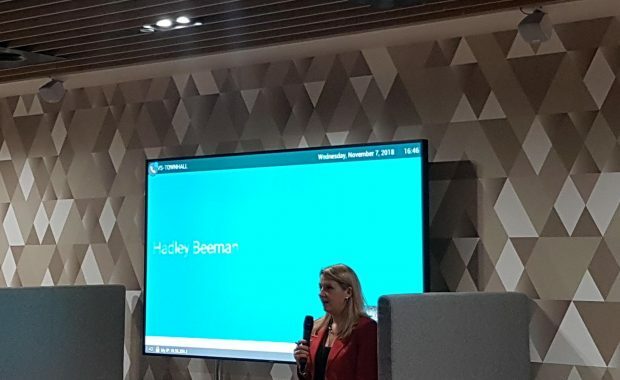 Hadley talked about her journey in digital, including working at NHS London, Cabinet Office, and the Department of Digital, Culture, Media and Sport. 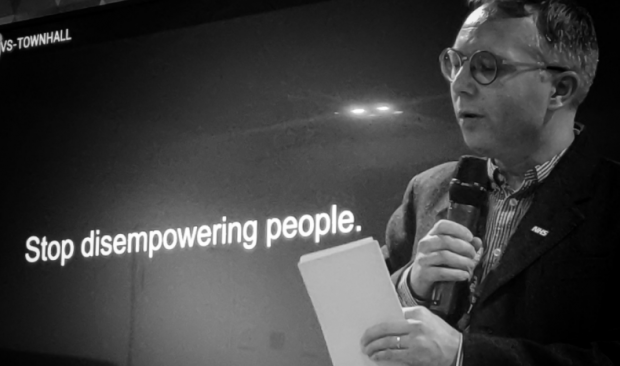 Hadley’s overriding passion is to help the NHS work in the digital age by empowering people. She was particularly keen on understanding the challenges in the health and care space, and what the Department of Health and Care could do to unblock those challenges. Hadley stressed the importance of open standards and the need to listen to the community. She talked about how everyone can help by responding to the technology vision. In our efforts to make this community helpful to our colleagues, we then ran a short start/stop/continue retrospective to see what we should begin doing, what we need to stop and what should continue. Below are the responses. People loved the location and the casual atmosphere. People loved seeing different departments present at the meetup. Sharing best practice around organising events e.g. how best to enable people to join remotely. Aim to get more diverse people in the room. Have a break between talks to enable people to chat. Highlight other product-related events and encourage people to use the cross-government Slack group. After each event we record feedback on a Trello board and use it to keep the sessions both interesting and useful. We always welcome suggestions for future events so do get in touch. Are you part of the Department of Health and Social Care? Are you part of one the department's Arm Length Bodies? Interested in sharing your ideas and work with others? If you answered yes to any of these questions, please contact dharmesh.chauhan@digital.dh.gov.uk or colin.pattinson@digital.dh.gov.uk with information about who you are, your role and the service you are working on. Health Product People: what does a good supplier look like?